A turntable is the primary equipment for both budding and serious/professional DJs. While there few DJs who use CDJs, DJ mixers etc., turntables are always the devices that DJs love to use. Hence, DJs need to own the best turntables for scratching and mixing. With turntables, a DJ has full control over the music and can do great sound manipulations. Turntables allow a DJ to do beatmatching, beat juggling, scratching etc., to generate amazing output. There is no replacement for the orgasmic feel that you get from playing Vinyl records on a turntable to an audience. Scratching or scrubbing is one of the primary features of turntablism and involves moving the Vinyl record back and forth to produce rhythmic sounds. Scratching requires some practice and professional DJs’ compete in developing complex scratching techniques. In this post, we shall discuss about the Best Turntables for Scratching. There are other factors like cartridges, digital/analog output etc but the above are the more prominent factors in evaluating a turntable. Belt-drive or Direct-drive turntable for scratching? Since, scratching involves lot of backspinning, the old days’ belt-drive turntables are unsuitable for the activity. As they have a slow startup time, scratching causes wear and tear and subsequent breakage of the belt in belt-drive turntables. Hence, a general rule of thumb in choosing a turntable for scratching is to look for direct-drive turntables. In a direct-drive turntable, the motor spins at a consistent RPM with a higher torque even when the DJ reverse plays the record. Hence direct-drive turntables are the best turntables for scratching. That said, if you are a beginner or old timer, the latency from release to the desired speed may not be that big an issue. Hence, there is a good number of DJs who are comfortable using belt drives for their DJing. Torque is a debatable factor in choosing a turntable. While some DJs say higher torque helps in getting back to normal quicker causing very less distortion, the oldies claim that the few milliseconds difference is not really a problem. Another advantage of higher torque is that the platter speed would less prone to outside forces such as a stylus or hand. Not every turntable in the market has pitch control. That said, professional DJs find pitch control an essential feature. While it is not very important for scratching, professionals use it for beatmatching. Again, not a big factor unless you are a professional. No discussion about Best DJ turntables will miss out on mention of Technics 1200s. Even though the company that manufactures Technics turntables has discontinued producing them, they are still the most popular and expensive turntables out there. And that is not without a reason. Technics 1200s are the defacto standard for DJs. Technics series of turntables are the classic turntables that started the turntablism phenomenon and carry a great amount of fan following. Most professional DJs are big time loyalists of technics turntables and go to any length to procure them. 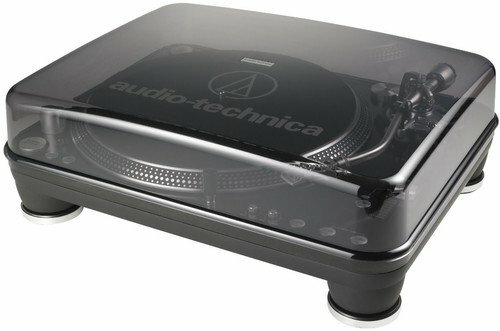 The only available Technics turntables in the market are either refurbished/used or from a dead stock. The technics series turntables are built to last and they can easily have a life of a decade if not more. The Technics feature metallic black finish on brushed-steel hardware and weight 28 pounds. Technics SL1210 MK5 features a high torque motor that can go from stop to full speed in 0.07 secs making it a great experience for scratching. 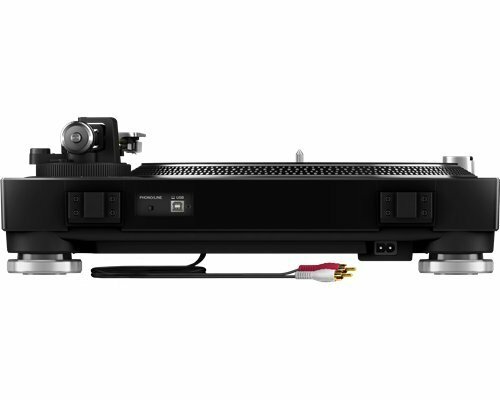 If budget is not a constraint and if you are able to find one in the market, Technics SL1210MK5 is the best turntables for scratching. Moving on from Technics, Audio Technica has really excelled in producing one of the best turntable for mixing and scratching at such a low price. Looking at the price point, one might wonder if Audio Technica AT-LP1240 really one of the best turntables for scratching for professions, but it really does cuts across. Featuring a 16-pole, 3-phase, brushless DC motor that operates in 3 speeds, LP1240 produces a torque of >4.5 kgf.cm. It is a well-designed professional DJ turntable to be used in loud places like night clubs and touring concerts. It weighs 27.6 pounds and has a professional anti-resonance die-cast aluminum platter. It has USB function to record the audio. If you are on a budget but don’t want to compromise on quality, Audio Technica AT-LP1240 is your go to choice for best turntable scratching experience. Stanton STR8.150 and Stanton STR.150 are arguably the current best turntables present out in the market. While the Technics loyalists might oppose this, Stantons have gone way ahead of what a Technics turntable can offer. Stanton STR8.150 is now the best selling professional turntables currently and are rightly so. At a weight of 22.5 pounds, Stanton STR8.150 and ST.150 feature a 16 pole 3phase brushless direct drive DC motor. It features a selectable pitch control supporting +/- 8%, +/- 25% and +/- 50% ranges with a quartz lock. It can operate in 3 speeds and produces torque of greater than 4.5 kgf.cm. While the ST.150 features S-shaped tonearm, the STR8.150 features a straight tonearm that is skip-proof. Stantons are the new standard for best turntables for scratching and you can blindly go and buy a Stanton for your professional usage. If you can’t get over Technics 1200s but are on a budget Pioneer PLX-1000 is the perfect replacement. The touch, feel, overall looks and sound quality are almost the same like Technics SL1200MK5. If you can’t get over the nostalgia, go for this SuperOEM. It features a 3phase brushless quartz lock, servo type direct drive motor with two speed ranges. It supports +/- 8%, +/- 16% and +/-50% pitch control ranges and can reach 33⅓ rpm in just 0.3 seconds. It lacks some of the features of modern turntables but is optimal for scratching with a feel of technics. The PLX-1000 weighs 28.88 pounds and has a heavy-mass, die-cast zinc chassis. It prevents resonance and vibrations resulting in a superior sound quality. If you are a beginner and looking for the best turntable for scratching, Numark PT01 scratch is the perfect choice. 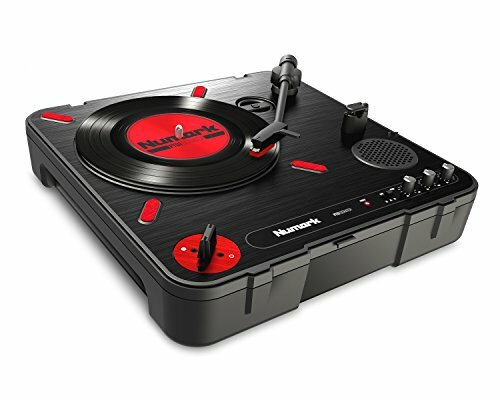 Numark PT01 scratch is a portable turntable with DJ scratch switch. This piece of marvel weighs just 4.3 lbs and can be carried anywhere in your backpack. Yes, you read it right – it fits into a backpack! This portable turntable can plug into a wall outlet with its AC adapter but it can also run on batteries. It also sports an internal speaker and a carrying handle making it truly portable. Though the Numark PT01 Scratch is belt-drive turntable, its response is on point. Using its adjustable scratch switch, one can use it for both right handed and left handed scratching. It has a built-in USB port which can be used to record your vinyl into digital format using their free downloadable software – EZ Vinyl Converter. The fader response of Numark PT01 Scratch is borderline flawless and the sound is crisp. It is highly moddable and one can customize it with those mods to make it a beast of performance. And the last but the most important selling point of Numark PT01 scratch is its price. It is one of the cheapest turntable for scratching in the market. So, go ahead and buy it to get into the world of scratching. Pioneer DJ PLX-500 inherits most of design elements from PLX-1000. It’s layout is same as that of PLX-1000 and comes in two colors – Black and White. There are no good turntables in the market that offer white color. If looks are important to you, Pioneer DJ PLX-500 is definitely going to wow you with its uniqueness. This is a direct drive turntable with excellent sound design that produces high quality vinyl sound. 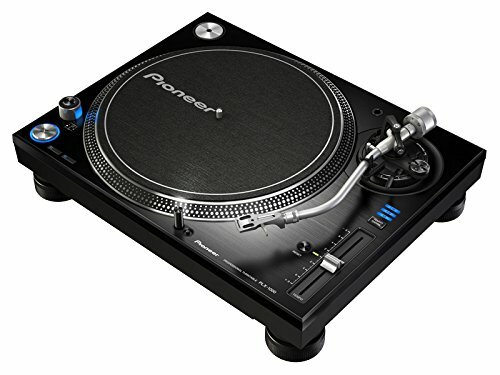 Pioneer DJ PLX-500 turntables are the best turntables for mixing and scratching. If you listen to lot of vinyl and play continuous mixes, this is the turntable you are looking for. You can use PLX-500 to record your mixes through its USB out. It comes with great tone arm balance control, high torque direct drive motor and with standard pitch adjustment. It is an exceptional turntable for non-professional use. 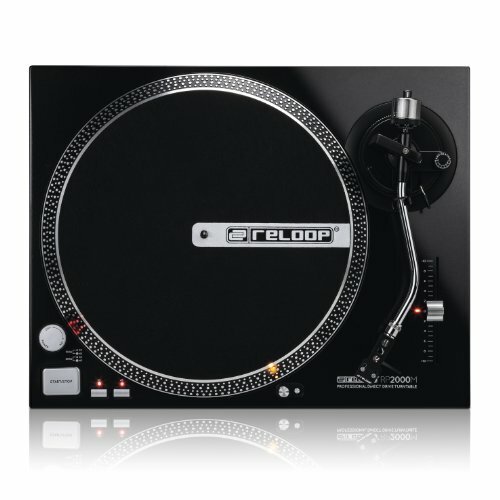 The first thing that you will notice about Reloop RP-2000 is its similarities to Technics 1200s. Reloop RP-2000 comes in black metallic finish with a heavy construction and metal chassis. It is a good beginner turntable with adequate performance. Unlike other brands, Reloop is not very popular in DJ circles. This turntable weighs 20.4 pounds and gives an impression of a well-built body. It comes with an S-shaped pickup arm and is capable of connecting a remote starter and beat counter. You should prefer this turntable for scratching if you are impressed by its looks. Stanton T92 turntable is the last we feature in our best turntables for scratching for beginners. Stanton is one of the most popular and reputed brands in turntable industry. 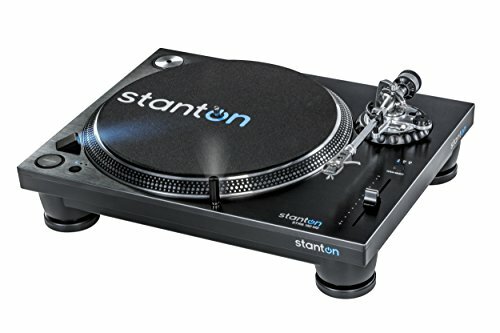 Living upto the reputation, Stanton T92 is the best of the lot of budget friendly, beginner turntables. Standing at a cost of double the price of Numark PT01 Scratch, Stanton T.92 is worth every penny. It comes with a myriad of features that you will wonder why we have listed it in the beginner turntables category. Stanton T.92 features a torque of more than 1.6 kgf.cm with a direct drive / 8 pole, 3 phase brushless motor. It has selectable pitch controls of +/- 8% and +/- 12% and operates in 3 playback speeds – 33 1/3, 45 and 78 rpm. The Deckadance DVS software provided for free with your purchase helps anyone to produce unique musical effects and add that zing to your performances. Stanton T.92 comes with Stanton 300 cardridge premounted on headshell. 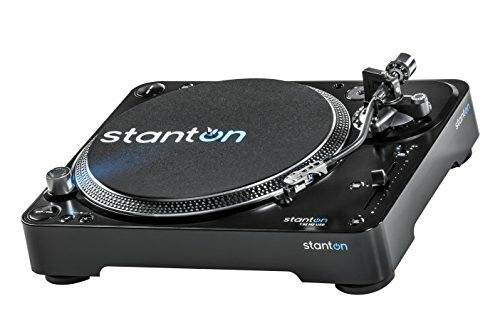 If price point is not a concern, Stanton T.92 handsdown beats all of the best turntables for scratching in beginners category. 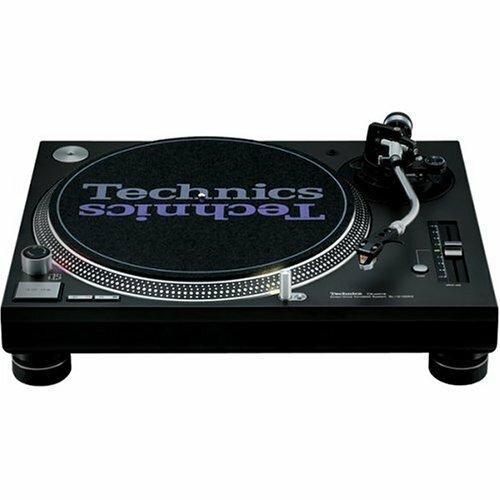 Though scratching is a niche activity, there is great variety of options available for both beginner and professional DJs to choose from.Most of the modern turntables provide myriad of features to help in your scratching within various price points. Once you have a budget in mind, choosing the best turntables for scratching boils down to personal preferences.